← Redshirt – the sci-fi-comedy-life-sim is now available for pre-order and beta! There’s no lack of great indie games out their these days, and Heroes of a Broken Land is a particularly fine example of a great turn-based Role-Playing Game. Still in the alpha stages and being developed by Winged Pixel, Heroes of a Broken Land, or HOBL, is made up of the greatest gameplay elements found in classic RPG experiences. It’s a fantastic mix of classics such as Eye of the Beholder, Dungeon Master, Heroes of Might and Magic, Wizardry and even a few modern titles such as Legend of Grimrock and other turn-based RPG’s. Fans of these classics will almost immediately fall in love with Heroes of a Broken Land and it’s classic Role-Playing feel. HOBL features procedurally generated worlds, so every time you start a new game, you’re also creating a brand new game world. Players also create an initial party of adventurers that is made up of the usual class types such as Fighters, Mages, Rogues, and Priests. Once your party is created you may start your adventure and begin exploring the world. Along the way you’ll recruit new heroes, form new parties, and discover new classes. 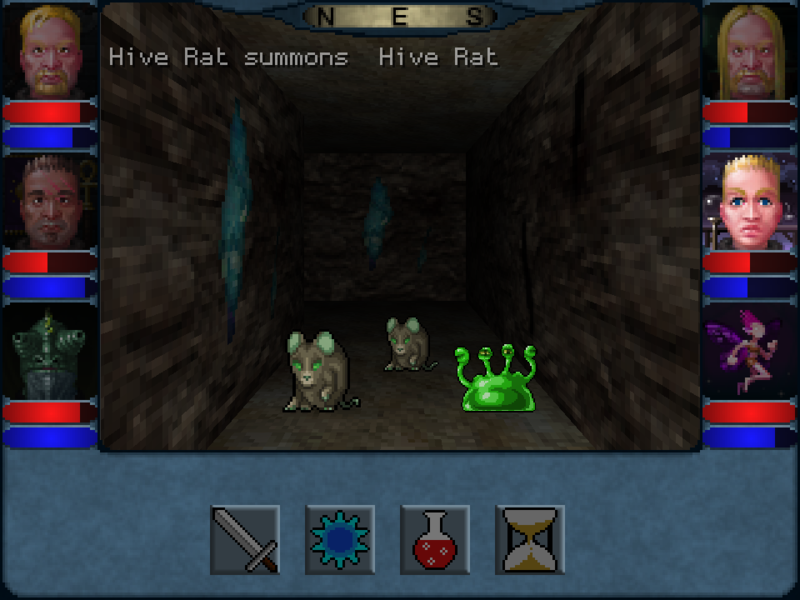 There are two main areas to explore in HOBL, the overworld and dungeons. 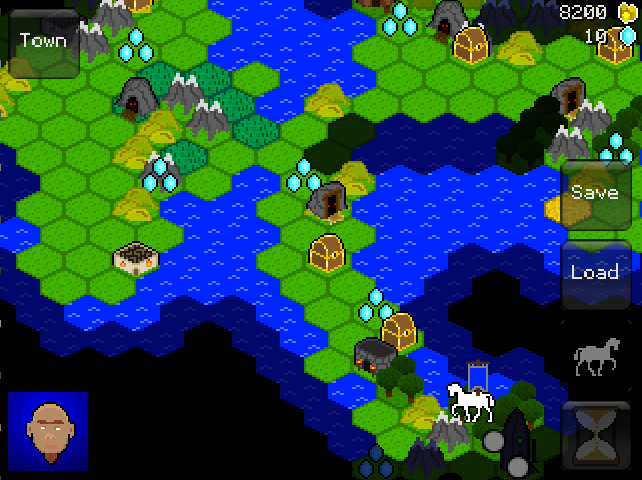 The overworld is explored from a top-down point of view and is also where you’ll build, upgrade, and defend your main town. This town is important because it will act as a hub of sorts, where you can recruit new party members, discover new spells, and purchase weapons and armor. As you explore the overworld you’ll discover other towns, dungeons, and need to be prepared for a number of random encounters, some of which give you access to new items and gold that can then be used to upgrade your main town or hire new party members. The second type of area you’ll be exploring are towers and dungeons. These areas are explored from a first person perspective. You’ll spend the majority of your time delving into the labyrinth-like dungeons that are scattered throughout the world. This is where the majority of combat takes place as well. Towers and dungeons aren’t all about combat though, you’ll also need to disarm traps, solve puzzles, and locate important items and loot. Fans of the classic RPG genre will feel right at home with the tile-based exploration and turn-based combat. It’s obvious that Heroes of a Broken Land is still in early development, but I love all of the gameplay features and the combination of classic RPG flavors that are already being offered. The game has simple but charming graphics that show their inspiration, but even at this stage of development, the game contains a rich atmosphere that will draw RPG fans right into the fantasy game world. I personally love the graphics but I think that’s partially due to nostalgia, however, the visuals are further enhanced by the excellent soundtrack which further enriches the atmosphere. There are multiple layers to the gameplay and mechanics that are both deep and engaging. These are the kinds of attributes that are only present in great Role-Playing games. After spending a few hours with it, I believe Heroes of a Broken Land has the potential to be a huge hit with indie and RPG fans. If you’re a fan of RPG’s you absolutely must check out Heroes of a Broken Land. With the Beta version fast approaching, you can pre-order Heroes of a Broken Land and gain early access to the current version and all future updates via Desura or the Winged Pixel website. You can also play an early alpha version of the game in your web browser through the developer’s website. The alpha is a little rough around the edges, but it does give you a ‘taste-test’ of the actual gameplay while showing off some of what makes Heroes of a Broken Land so special and why it’s an RPG you definitely want to keep an eye out for!